ProStrainer™ PSV - Proflo, Inc. The standard ProStrainer is uniquely designed with the end user in mind. From it's low profile, to it's quick release lids, to the multiple baskets, ProStrainers have redefined the strainer industry. 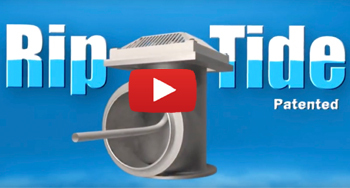 Not only do they reduce energy by putting less stress on a pump by utilizing Horizontal Laminar Flow, they also offer the most holding capacity by volume then any other strainer on the market. ProFlo has literally reinvented the strainer and made it an easy choice for customers who want a reliable product that saves them money. Stainless Mounting Kit - No more need to waste time and money pouring concrete pads. ProStrainer is now the only strainer that offers adjustable legs which allow the contractor to set the ProStrainer at the precise hight for perfect alignment with the pump and piping. High Capacity Baskets - ProFlo now offers High capacity baskets design that allows for even more open area thus increasing holding capacity, further reducing maintenance and lowering operating costs. Metal Fire rated lids - The metal lids can replace the polycarbonate lids in situations where it is not necessary to see in or on high rise applications were they require metal lids. NSF Lids - ProFlo's NSF lids are for applications that require NSF approval and are rated up to 50 PSI. Lid: The lid shall be a minimum of 1/2” thick transparent polycarbonate or 1" thick acrylic sheet. Lid Bezel: The lid bezel shall be fabricated from one piece of 11 gauge stainless steel type 304L. Gasket: The gasket material shall be premium grade EPDM, Viton or neoprene. Gasket shall be .25” high by .40” wide and its outside dimension shall conform uniformly with the dimensions of the lid receptor area.